The Choir Girl: An Interview with Composer, Kristopher Fulton. An Interview with Composer, Kristopher Fulton. As composer, Kristopher Fulton, discusses the release of the new The Twilight Cities CD by the Vancouver Cantata Singers, certain themes arise: perseverance, timing, support, and passion. 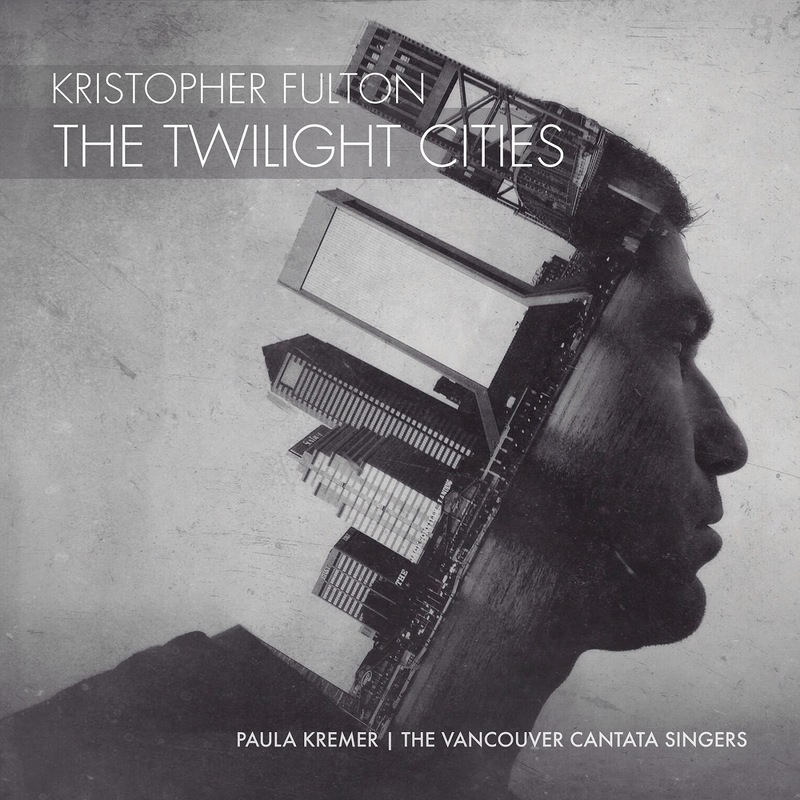 In Fulton’s second season as composer-in-residence with the Vancouver Cantata Singers there were discussions surrounding the choir’s content creation in the form of a recording. “A continuous stream of content is a requirement of active ensembles. Lots of people want to put content out there, whether choral or instrumentalist, the whole spectrum of performers. Now it’s not just concentrated in a one shot, exclusive concert. The other audience members who couldn’t come out have an opportunity now,” Fulton states as he discusses the benefit of recording. Fulton has had a generative and collaborative relationship with the Cantata Singers for ten years before becoming the composer in residence. He sings in the choir and the group has commissioned works such as Prometheus and Medusa for the CBC Choral competition in the past before becoming the current composer in residence. It was a dream of Fulton’s to have an a capella album of his own work. “An album of choral work that is 40-60 minutes is an undertaking for everybody be it rehearsal time or money or cost. I was in a position to make it happen if I was able to raise the funds myself. I got the funding together privately and the timing was right to do it at this time” states Fulton with fervor. 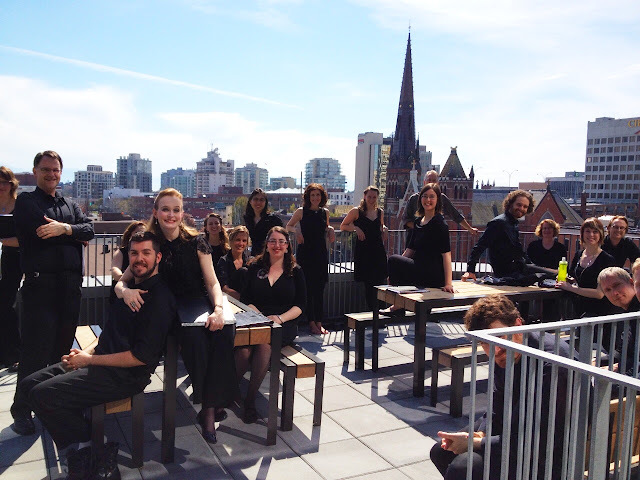 With the support of Cantata Singers’ Artistic Director, Paula Kremer, and the Cantata choristers, they recorded over two evenings at the Chan’s Centre for Performing Arts. They had sound engineer, Matt Stephanson, overseeing the recording process since Fulton was busy singing with the tenors during the recording. Fulton states, “there’s a certain amount of perspective that you get from singing on the album. There’s a trade-off. You give up the objective overview in the booth. Luckily, Paula, myself, and the sound engineer have a similar perspective on what a choral recording should and shouldn’t sound like. We have a working relationship where our taste is similar. That was enormously helpful.” In fact, Fulton states that he feels more anxious when he is just sitting in an audience having heard no prior rehearsals when choirs are performing his works. “Often it’s sometime jarring when you hear your piece and it’s not what you had been hearing in your head. Having that rehearsal process for me, as a performer, not just as a composer, you have to let something go if you are going to appreciate other things as a composer,” he cites as an advantage of providing his physical voice in his works. It is clear that Fulton was humbled to have the voices of his Cantata friends and colleagues record his works. “The choir was incredibly dedicated and they had a small window of time, only three to four extra rehearsals to fine tune the pieces. They did a wonderful job with it and I am so happy with the result,” he gushes in his mild manner. However, there is always another layer of stress that comes with a recording session. “Everyone goes into a different mode, it’s different than the mode you switch into during live performance. You raise the standard. In a live performance, you realize it’s not going to be perfect. The expectations for a recording are different. There are lots of people who would expect a recording to be perfect or near perfect,” he says when reflecting upon the challenges of recording. Two moments in particular stand out to Fulton: “In Icarus there’s a line, ‘Climbs up to the highest cliffs of his island prison court.’ The choir really sang out with a lot of emotion,” he says before sharing his second moment in Songs of Ariel where the tenors have to have weave their solo line all the way up to a high A. “It’s enormously challenging to make a good sound to nail that and the cut-off,” he said reveling in the satisfaction of that successful take. Fulton maintains an open perspective when it comes to people’s interpretation of his work. He enjoys the fact that “it means something different to different people.” However, he does note how cool it is for people who have never met him to feel connected to him as a person through his work. “It’s an enormous leap when someone comes up and they feel that they know you because of your work not having met you in person beforehand. I’m an emotional being. I’m an artist who would want people to get to know me through my work. They get little pieces of who I am along the way. I never meet or speak to them but they get a part of me,” he states in an appreciative tone. As for what is coming up next, Fulton gives a teaser that he has an interest in a composition for choir and orchestra. “It would be a contemporary setting, and it would have sacred undertones, but it would not be a sacred work,” he says in a mischievous tone. A multitude of unique projects are on Fulton’s mind. 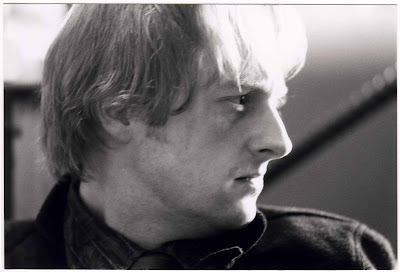 It is apparent during this musing that he still has many character stories to tell through his music. The album is available for download in all digital stores such as iTunes and Bandcamp.